Transportation is often one of the most expensive part of traveling so it’s nice to get a free ride. And for people traveling around the United States and Toronto from January 4 through March 1, 2012, Megabus is giving away 200,000 free seats. 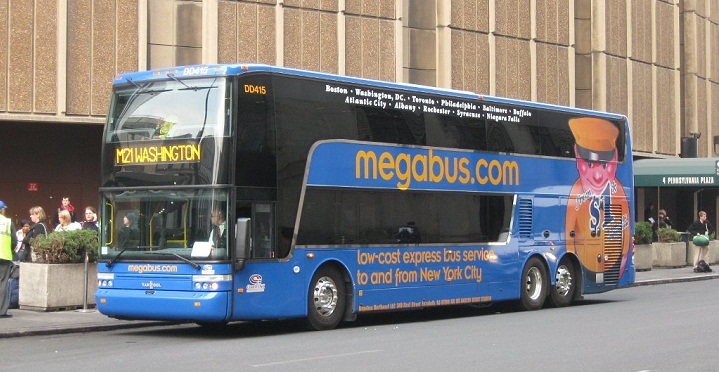 Megabus, which launched in April of 2006, is already known for it’s budget-friendly prices and offering rides that start at $1 when booked on the internet. The company services nearly 50 cities through the United States and Canada from five major hubs which include New York, Chicago, Philadelphia, Washington D.C., and Toronto. For those who value comfort, Megabus’ single and double decker buses offer panoramic windows, free wi-fi, and at-seat plug ins. To reserve a free ride, use the promo code GOFREE when booking. The offer is based on availability and if you can travel midweek and/or on some of the more popular routes you shouldn’t have a problem taking advantage of the offer.